NHS Endowments are vested in a Health Board as a “Corporate Trustee” – ie the Board of NHS Lothian is the Trustee of the Edinburgh and Lothians Health Foundation. Members of the NHS Lothian Board (both executive and non executive) become Trustees of the Foundation ex officio. The Foundation is not permitted to invite other individuals to serve as a Trustee. The duty of individual members of a Corporate Trustee is no different from the role of Trustee of any other charity: act in the charity’s interests, in a manner consistent with the charitable purpose, with due care and diligence, and complying with the Charities Act and other relevant legislation. Brian was appointed to the Chair of NHS Lothian in May 2013. He is 64, was born in Edinburgh and has spent a career as an accountant, general manager and CEO of several companies, as a management consultant and latterly as a non -executive director and chair in both private and public sectors. Brian has lived and worked in several countries, has four children and three grandchildren, enjoys hillwalking, cycling, running and is a director of Hibernian Football Club. The Trustees are supported by the Charitable Funds Committee, chaired by Mrs Shulah Allan, MBE . 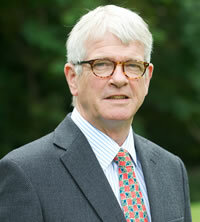 Michael Ash joined the Lothian NHS Board in August 2012. He currently chairs the Audit and Risk Committee and the Charitable Funds Committee of the Edinburgh & Lothians Health Foundation. He is a member of Edinburgh Integration Joint Board, where he is leading the work on commissioning mental health services. 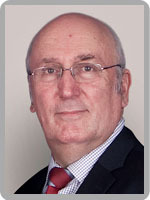 Michael has over 50 years experience in the public sector working in various different roles. He was a Non-Executive Director of a mental health and learning disabilities trust in England for 11 years. Since living in Scotland he has served a six year term as a member of the Accounts Commission for Scotland. An avid bridge player, Michael completed a two-year term as President of the Scottish Bridge Union and continues to represent Scotland at international events. 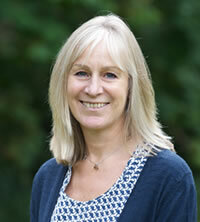 Susan Goldsmith (Trustee) is the NHS Lothian Director of Finance with responsibility for the Foundation. Susan lives in Edinburgh with her husband and two sons. Originally from Edinburgh, Susan moved to London in the early 80’s to join the South East Thames Regional Finance training scheme. After qualifying as an accountant she worked as a management consultant in a variety of NHS organisations across the South of England. After persuading her husband that the golf would be better north of the border she returned to Edinburgh in the early nineties to support the set up of NHS Trusts. Susan has held a variety of Director of Finance roles across the NHS in Scotland and is currently Director of Finance for NHS Lothian. As well as the usual juggling of work and family commitments Susan enjoys running, cycling and the company of a book club.